I'm not a big fan of using the BSR for predicting every day weather patterns. It did pretty bad in January. I much prefer using the TR for that, and leaving the BSR to predict big systems. If we were to use the BSR to forecast January, we would be using 2014 as an analog to say the least. It suggested that we'd see an eastern trough for 30 days straight. As you can see, the 500mb shows that the below normal category stretched all the way into the lower peninsula of Michigan. Once again you can see that lower anomalies covered all of the Eastern CONUS and even into Canada. One of the things that I was having to remind people is how "stale" the cold air was on numerous occasions. It has been stale when it was here but it was because of the snow cover. 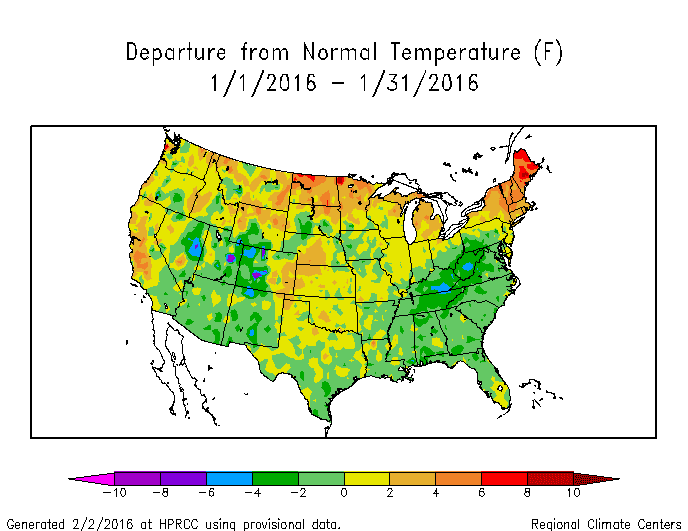 January was much warmer than what BSR would've suggested. My final rebuttal before creating this blog. 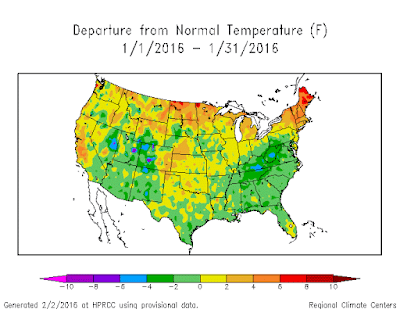 The BSR didn't suggest a cold January. It suggested below normal 500mb heights. As you can see...the mid-levels did not agree with the surface temps. On January 6th, I explained to a good friend of mine my thoughts on the pattern and how I kept seeing storms occluding quickly. The data clearly shows that the BSR was correct in the depiction of what we expected in the mid-levels of the atmosphere and due to the timing of occlusion in an already stale environment, the lower levels just didn't match. Lastly, might I suggest that you look at my research partner's data here where he archives all of his ESRL maps.